Winners announced for Natural Baby Fair ticket! If you missed out on Java Mama’s Halloween Party this year, you missed out. It was so cute seeing all the kids in costume!! I think there were about 4 Minnie Mouse’s this year! Anyway, The images are posted on the facebook page… feel free to tag yourself there so they show on your page. First off, yes it’s my 1st 29th birthday today! Hooray I survived! There are times I wonder while having a 2 1/2 year old how us moms do it. Eek! Anyway, I asked my facebook fans what gift they would like ME to give to celebrate my birthday…most people suggested a $29 mini shoot. Ok! Come celebrate at the studio on August 25th! Here’s your chance to win TWO mamafest tickets! 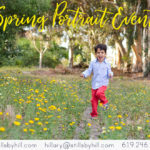 Stills by Hill Photography is San Diego's premier fine art photography studio. 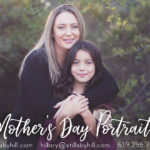 Hillary is consistently ranked as one of the best photographers in the San Diego area. Hillary uses a highly trained creative eye to produce the highest quality fine art. © 2007-2018 Stills by Hill Photography. All Rights Reserved.